It also comes with 16GB and 32GB variants, with 2GB RAM and a 13 MP Camera and a Back placed physical button which can perform some major functions, the back of the phone has the Power button and volume options above and below the button and there are no physical buttons on the front side of the device. 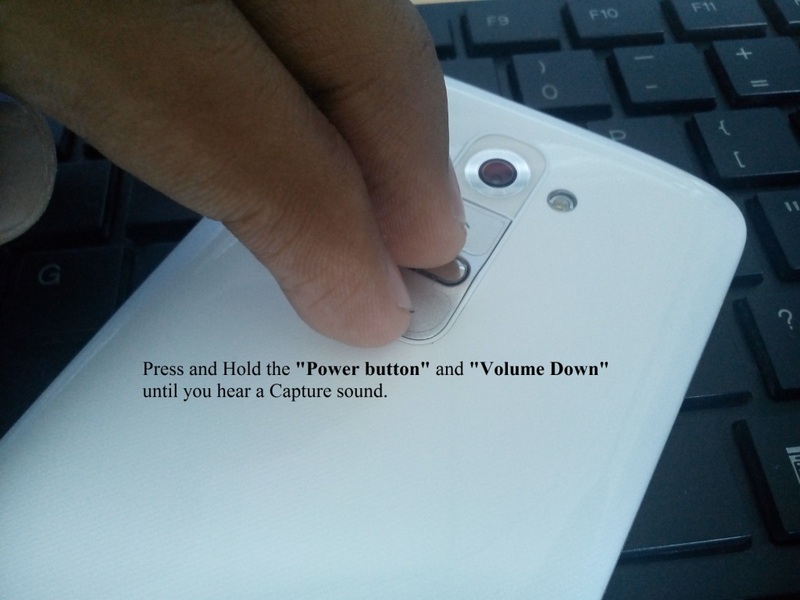 So with the odd placement of the buttons people are confused on how to take a screenshot in LG G2 smartphone, so here we are going to give a step by step tutorial. LG has given its users with a Software called Quick Memo, which we are all aware of from the Optimus series of phones by LG which had this App which allowed the used to save the Picture or Screenshot in Quick Memo folder and even play with it using some tool provided. Save the Image/Screenshot in Gallery or Notebook app or you can even share it with any App by clicking on the Save icon on top of the image.